Last week, I highlighted the exciting announcements of the Beauty and the Beast live-action remake. Unfortunately that movie won't be released until 2017. But next year a different Disney live-action remake is scheduled to be released: The Jungle Book. 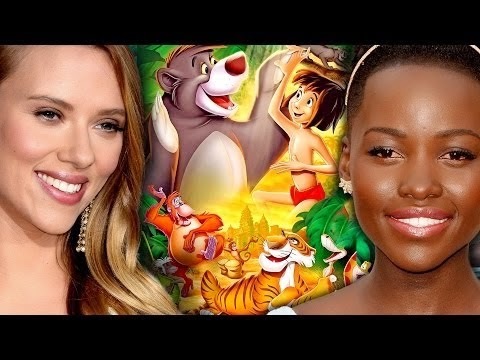 So let's travel through the deep jungle and listen to the sounds of nature calling as I give you all the bare necessities on The Jungle Book live-action, which will be directed by Jon Favreau. Keep it up two three four"
Next up, the casting choice for the voice actors of the animals. The first animal character in the film is Bagheera, the black panther. 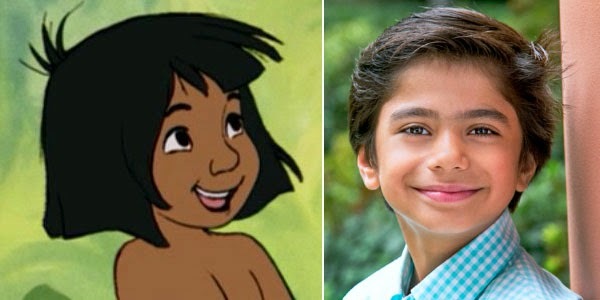 If they do as the animated 1967 version, he's the first to talk as he narrates the story of Mowgli. 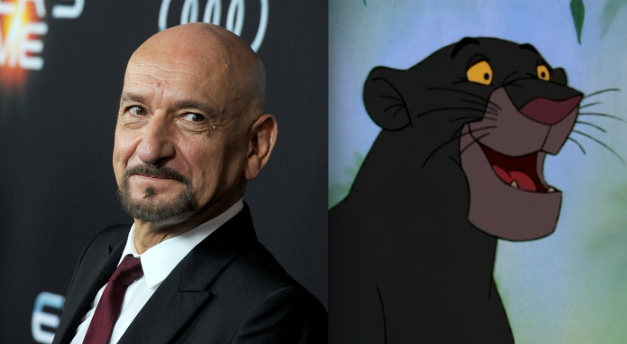 The person to voice Bagheera needs a rich, memorable voice. Ben Kingsley is the perfect fit for such a character. He has the British accent, which gives the mentor-like, protective tone demanded of Bagheera's role in the story possesses. And if anybody can pull off "cat" growls, I think Kingsley is our man. 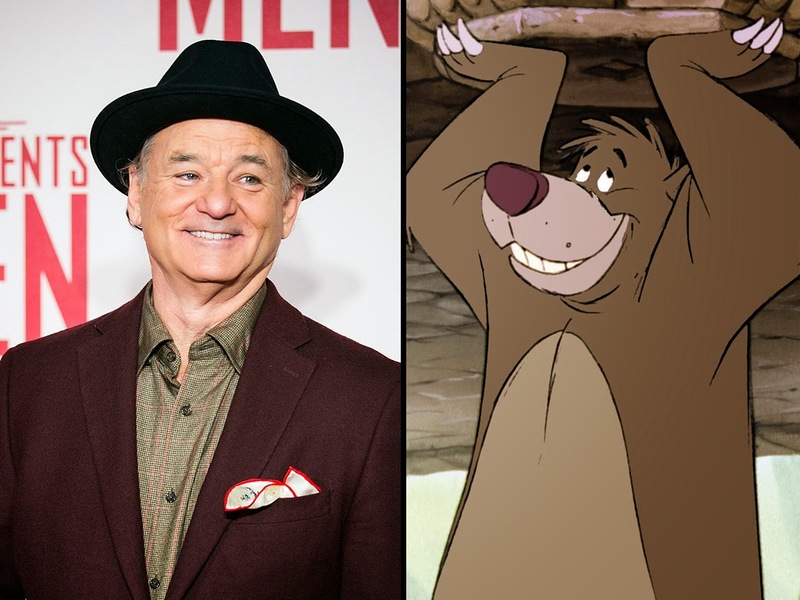 Baloo, the bear, will be voiced by Bill Murray. Now Baloo the bear is a fun, hilarious kind of character--and so is Bill Murray. If anybody can pull off this crazy sloth bear, he can. In addition, it's been confirmed that while the film won't follow everything from the animation in regard to music and songs, Bill Murray will be singing Baloo's song, "The Bare Necessities." I for one am excited to see this new rendition. Now you might be thinking: Okay, we've got the trio cast and we're ready to head into the jungles of India, but what about why they're traveling in the first place? Who's going to play the treacherous Shere Khan? 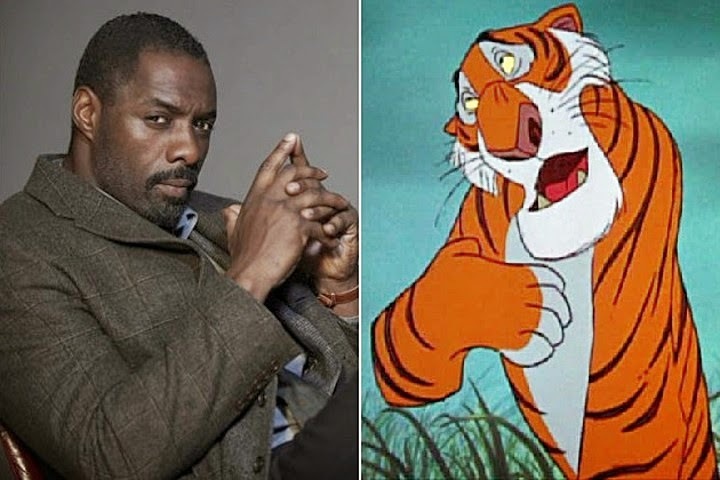 Well, have no fear: Shere Khan has been cast. It's Idris Elba. Personally, I'm excited to see how he does in the role. From his appearances as Heimdall in Marvel's Thor movies, I know he can pull off the deep, gruff voice that evokes the darkness of Shere Khan. I hope he can get his "growl" on as, Shere Khan has the recognizable, deep-throated growl that sends claw-like shivers down his victims spines. Plus, more British talent can never hurt, right? While the whole cast hasn't been announced yet, there are still a few extra memorable mentions. Christopher Walken has been chosen to play King Louie. While Walken's voice is quite different from the origin Monkey King, I think he'll provide a new twist and atmosphere to the character. In addition, Scarlett Johansson is set to play Kaa, the python. This quite a change from the original, as I always thought Kaa was male (especially since he's originally voice by the person who did Winnie-the-Pooh). But I like the change and I'm definitely intrigued to see how she pulls off the part. Also, Lupita N'yongo is going to play Rakcha, the Mother Wolf. While I haven't seen much with her in it, I love the idea of getting newer actors to the cast. Other characters such as Colonel Hathi or the Vultures haven't been cast yet, but I'm sure they'll be chosen with good intentions as well as the above cast has been. If you're interested in hearing each of the voice actors speak in previous films, this guy created a video just for that. Jon Favreau has said that he doesn't want to just re-create the same movie as the 1967 animated film. Instead the team is taking the Kipling story into a new tone. For one, it's not going to be a musical despite "The Bare Necessities" making its way into the film. Favreau says he wishes to retain some of the memorable moments from the original animated film. While we won't have songs like "I Wanna Be Like You" or "Colonel Hathi's March," there will be some ties to the origin film. Favreau has also stated he loves the idea of incorporating a lot of mythic themes and hero's journey, while keeping some of the Disney-esque feel to it. So basically, mythic and magic combined. Sounds like a fun ride. 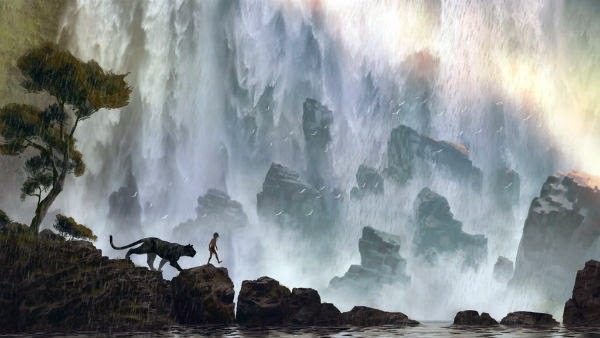 In addition, the first released concept art photo (appearing above) gives the impression of correct panther-to-boy proportions, which is the first for any adaptation of The Jungle Book. Plus that photo is gorgeous and shows how visually appealing this movie has the capacity to be. All in all, the live-action remake of The Jungle Book is definitely ripe for riveting voice-acting, gorgeous settings, and something familiar and something new for the story. Maybe John Favreau doesn't "wanna be like" the original film too much, but he certainly has began a project that will have us trusting in him. What do you think? Does this cast promise excellent voice-actors or did you have someone else in mind? And what about the characters not yet cast, who would you choose for them?